Web-to-Print Software for Business | Lucidpress . ', failHtml: "
Design beautifully branded templates your organization can access & print in a jiffy. Lucidpress streamlines the web-to-print process, from initial design to professional prints. Web-to-print applications provide your organization with a reliable way to consistently print marketing materials. 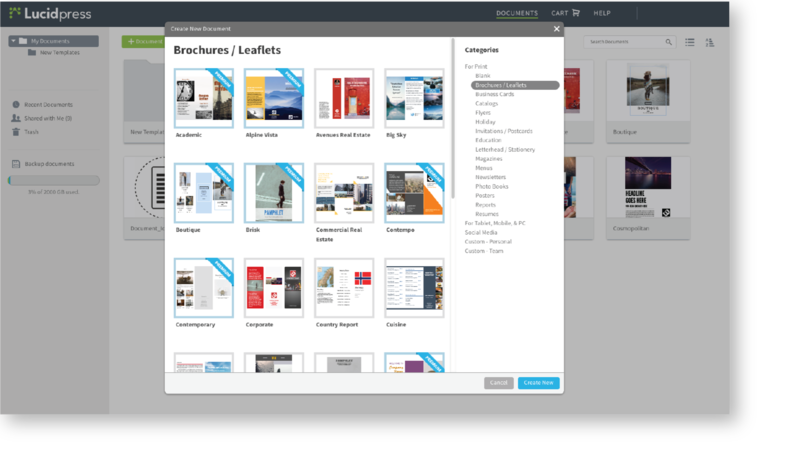 Online storefronts that host your library of printable collateral make it easy for anyone in your organization to access, customize, and print what they need when they need it. If a web-to-print solution doesn't have their own in-house print shop, they will partner with one. Print projects can include anything from business cards and brochures, to posters and pop-ups. Print storefronts should do more than just host your printing library. While robust print systems are a must, you also need to ensure your brand is properly represented before being printed en masse. Create branded print stores for your team that exhibit templates they can customize and print. Lucidpress gives you the ability to customize user permissions and accessibility. 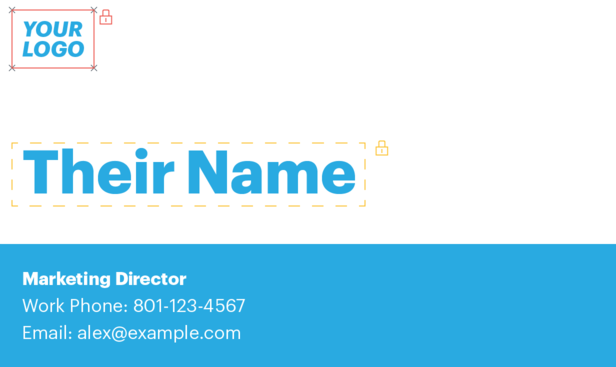 Easily lock down colors, logos & fonts on marketing templates to maintain brand consistency across the organization, no matter who is accessing or adjusting the template. Get high-quality printed materials shipped straight to your location. Or, reach your audience even quicker with Lucidpress's direct mail delivery. When your organization has multiple locations, local marketing that's customized and on-brand becomes hard to accomplish. That's why providing each location with a custom print storefront is what many businesses are choosing to provide. 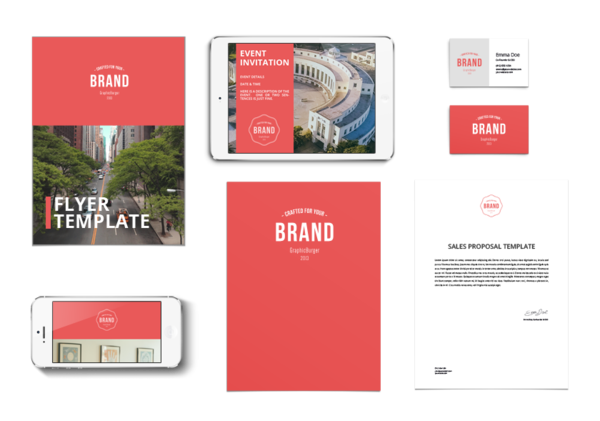 With brand-locking templates from Lucidpress, your team can customize & print marketing materials on demand — without ever breaking brand. Lucidpress is a web-to-print platform with brand management capabilities, which means the creation, protection, and distribution of your marketing collateral can all be managed from the same place. Whether its social media posts or printed brochures, our cloud-based platform helps your business manage the brand experience from start to finish. 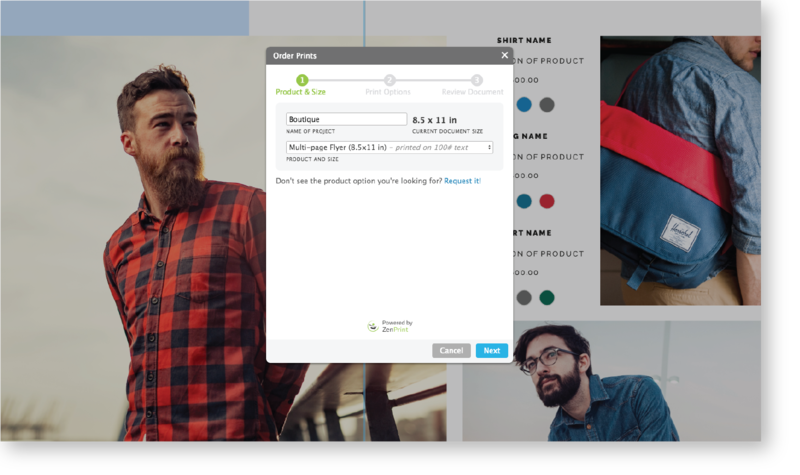 Your storefront solution is completely on the cloud — making real-time customization and collaboration simple and easy. 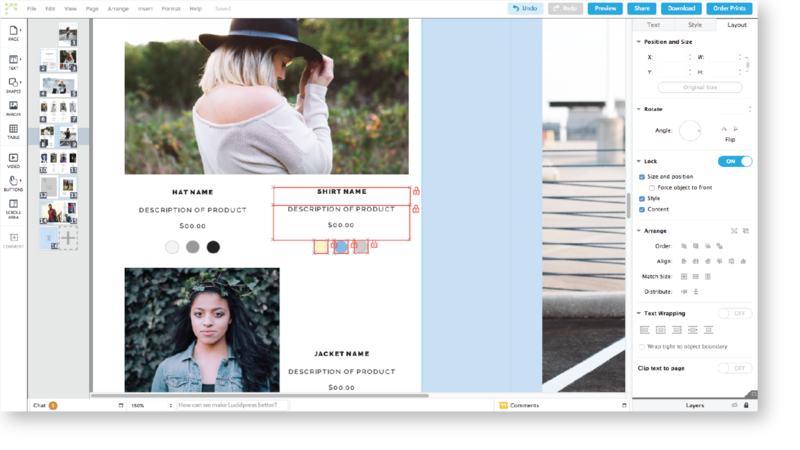 Customize your print storefront to match the needs of your team. Adjust what templates are available, what elementss of them are locked down, and who can access them. Our web-to-print software features a growing gallery of professional templates that can be customized to showcase your brand. 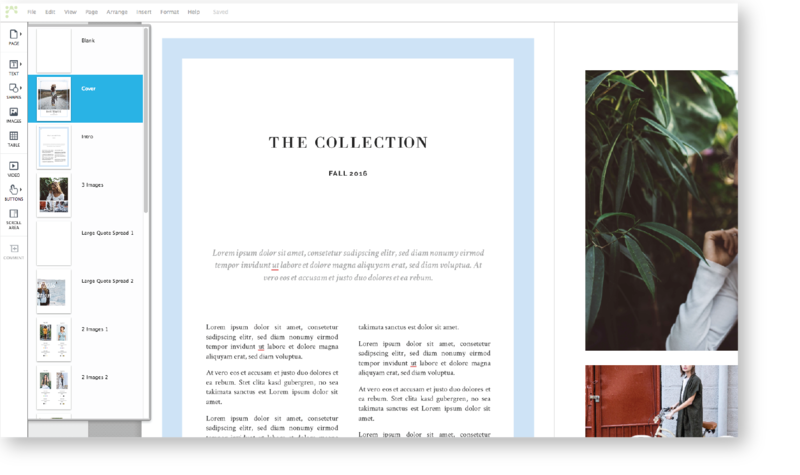 Update a template, create your own from scratch, or import from Adobe InDesign to build your perfect template library. With advanced template locking, you can secure important brand assets in your designs so they can never be changed. Lock down the size & position of your logo, determine fonts & colors, and share branded templates with confidence. Set file & folder permissions to let individual team members collaborate on cloud-based templates in real time. They can customize marketing materials without disrupting the brand or requiring help from a designer. From small prints to wide format jobs, our high-quality prints are shipped straight to your location from commercial printers located around the nation. Our web-to-print software also offers direct mail delivery to a list of addresses or a local area. Our library includes hundreds of professional templates to get you started on any print marketing campaign. Plus, you can make templates even easier to fill out with data automation. Simply build templates using smart fields for the data you want to fill, then upload a CSV spreadsheet of that data. The editor will help you match columns to smart fields, so you can sit back and watch the magic. Data automation makes it simple to create or update company directories, sales proposals, custom contracts and more.